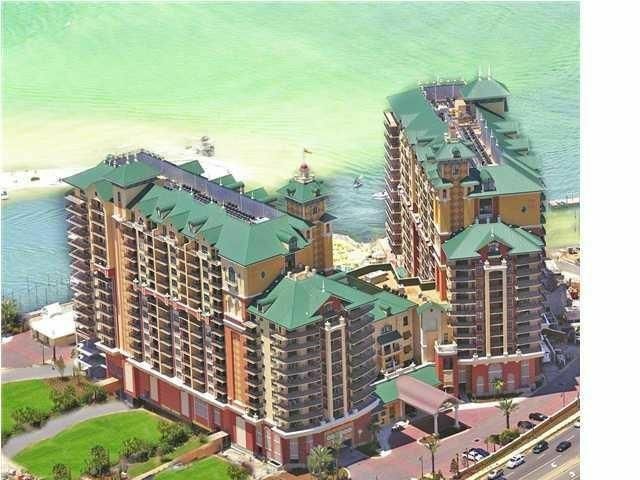 Emerald Grande condo, beach resort home in Destin. Stay in Style! Fireworks every Thursday night of the year!This unit features Brand New 55" Samsung Curved TV,Brand New Living Room Furniture, Beach Service Included- 2 chairs and an umbrella. This 3 Bedroom 2 Bath Condo overlooks the Pool, Gulf, and Destin Harbor. King size bed in the master bedroom, Queen size in the other roomy bedroom, Bunk Beds in the 3rd bedroom. 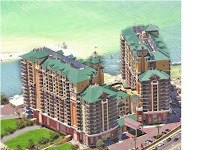 Emerald Grande Condo Rental in Destin FL.. In Destin Florida, the Heart of the Emerald Coast, you can choose between exclusive resort homes to laid-back beach get-a-ways, this coastal city with a humble beginning as a small fishing village is now an immensely popular tourist destination, thanks to the white beaches, emerald waters and warm climate. According to the Florida Department of Environmental Protection, over 80 percent of the Emerald Coast's 4.5 million visitors each year visit Destin. The city boasts the largest fishing vessel fleet in the state of Florida.